Olivia Palermo attends the Valentino Haute Couture Spring Summer 2019 show as part of Paris Fashion Week on January 23, 2019 in Paris, France. 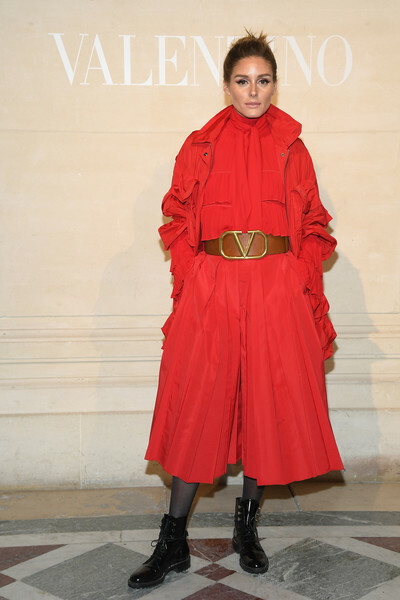 Olivia Palermo was sporty-chic in a red Valentino utility jacket during the brand's Couture Spring 2019 show. Olivia Palermo matched her jacket with red culottes and a tie-neck blouse, also by Valentino.